The business about Big Men and the reactions to the post at Helm’s Deep (See here and here) has prompted a further thought or two. Once it is recognized that the institutions which the church has adopted to order congregational life are flawed, then the critique of the Big Men is, I am afraid, crippled. Rules and procedure may seem flawless in draft, but it’s another thing when men and women commit themselves to them. All seem agreed on that point. Darryl Hart maintained that presbyterianism produces virtues that other ecclesial patterns fail to reach. He highlights humility. But if it’s humility we wish to cultivate, why not start by making sure that at church we sit in a circle, or take turns to preach? But all such suggestions start the wrong way round. First make the tree good and its fruit good. is the dominical rule. When Peter urges the churches to be clothed with humility, I don’t suppose he thought that reading Roberts’s Rules would do the trick. Churches are flawed because the people who make them up are flawed. The churches or congregations, filled with fallen men and women, are not immune to the general imperfections of the institutions of society, what Anthony Quinton called the ‘politics of imperfection’. But it is much worse for the church than it is for a business or a college or the House of Commons. What is it to be reformed, we ask? Some answer: adherence to the solas of the Reformation: sola fide, sola scriptura, sola gratia and so on. The Five Points? 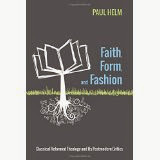 Somewhat out of fashion and in any case they have the drawback that they are confined to the distinctives of reformed Christianity. The Reformed Confessions? Good answer! But if I’m not mistaken they present the answer that we are searching for in only a muted form, I think. They rather muffle it, or perhaps muff it. Here’s a clue; it has to do with another phrase identifying ‘reformed’ that we haven’t yet mentioned: it is word and spirit. Is Calvin reformed? Throughout his discussion of the Church, one motif recurs: Word and Spirit. The church is where the Word is preached, and where through the Word, and the Spirit's illumination and application of it, people are justified and regenerated, and as a result undergo life-long conversio. Word and Spirit is what we were searching for. But in the Reformation’s emphasis on Word and Spirit is a source of a more serious tension, or potential breakdown, in the life of churches, which as far as I am aware reformed churches do not recognise formally. It seems to me that both critics and criticised would do well to ponder this phrase. In the central Reformation motif of 'Word and Spirit' the two elements can only be linked together rather uneasily. The reason is this: matters to do with 'the Word' can be humanly organised. But matters to do with ‘the Spirit’ are divinely sovereign and free, out of human hands. Matters to do with the Word may be dispensed through secondary, creaturely agency alone, but matters to do with the Spirit can never be so dispensed. People can be trained for the Christian ministry, study the Bible, and preach it. Churches can be set up, pastors, teachers and deacons appointed, the sacraments may be administered, people catechised, and the unruly disciplined. All this can be undertaken in a routine, institutional way. All very orderly, in the Calvinian manner. All this is, we might say, (ecclesiastically speaking) concerns the area of 'the Word'. In the Chapter on the church (XXV.V) it notes that church may degenerate, but doesn’t go into details. And the same is true of the 1689 Baptist Confession. (Ch. 26) Nor is the degeneration and regeneration of the church, which is not the same as the regeneration of a soul, a notable theme elsewhere in those documents. No doubt it can be inferred from this and that. But nowhere as far as I can see is it given confessional prominence. Certainly not as much prominence as that, say, in the Letters to the Seven Churches in the prologue to the book of the Revelation. I wonder why not? So while certain factors are in human hands, other factors are in the Lord’s hands. This is a point that characterises all Augustinian ecclesiology. (Not, of course Augustinian sacramentalism, which envisages the Spirit being piped into the churches via the priesthood.) We may have a book of congregational or presbyterian rules, be well-versed in points of order, the proposal and seconding of motions, and so on. By applying these skills, deacons and elders may be appointed, services organized, the Word, the Supper and Baptism offered, and arrangements made for the discipline of church members. 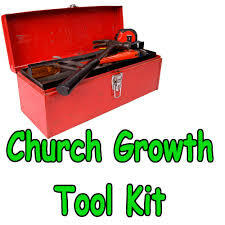 We may have strategies for church growth, a five-year plan and a building programme, and ways for increasing the giving. A pastor for this responsibility and a pastor for that. All these things are under human control. But there is no church without the work of the Spirit in regeneration and renewal. And that work is manifestly not within human control. Paul plants, Apollos waters, but God alone gives the growth. So neither he who plants nor he who waters is anything, but only God who gives the growth. He who plants and he who waters are one, and each will receive his wages according to his labour. For we are God’s fellow workers. Not that God, Apollos and Paul are fellows, but workers who are in concert, like Apollos and Paul, are fellows in God’s work. 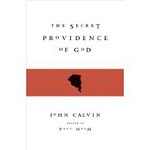 So Calvin himself, the Calvinists, the Reformed, Particular Baptists, neo-Calvinists, cool-Calvinists, and whoever else, worshipping in mega churches or small local congregations, fronted by Big Men or small, profess the same dependence on the sovereign giver. And if they believe what they profess they all usually recognise the fact. They cry, Who is sufficient for these things? They know that all may supply the ministry and so be God’s fellow-workers. (Finneyite revivalists and the Roman church see things differently). But only God can give the growth. And only God must be honoured for it. Appreciation of this fact is what is of central importance to those congregations with a Reformed soteriology, and should be uppermost in the minds of the ministers. When compared to this need, the current critique of one group by another surely fades into insignificance. Or perhaps this is a case of ‘These things you ought to have done, without neglecting the others'. To some the phrase ‘without body, parts and passions’ appearing in a Christian confession, matters not. What’s in a phrase? Isn’t this just rhetoric? No. it isn’t. This phrase compresses a whole theology, in the narrow sense of a doctrine of God. 'The Phrase', as I shall call it here, expresses the purest theism, the theism of catholic Christianity. Note this use of ‘catholic’. It is distinct from ‘Roman Catholic’. In Roman Catholic theology every one of its councils speak the RC faith, for all of them are regarded as consistent. And the Pontiff settles any differences. In ‘catholic’ theology, the first seven councils are embraced, the ecumenical councils, councils that met and pronounced prior to the division into the Eastern and Western Church. ‘Catholic’ in this sense means the universal church, what is generally believed. Judged by this standard the use of the phrase ‘Roman Catholic’ can be oxymoronic: ‘The universal church that at one and the same time recognizes the authority of the Bishop of Rome as its Pontiff’. ‘Catholic’ in what follows is used in the ecumenical sense, not in the Roman sense. If someone stops to think about The Phrase, they might wonder at the rather strange grammar, a negative clause. It’s about what God is ‘without'. Not what God is, or even what God is like, but what he is not. If John is without his umbrella when the shower suddenly drenches, he is without shelter. The phrase is negative, it tells us what John is not carrying, that he is lacking shelter. Likewise with The Phrase. It tells us what God is not, and by implication is not like. Such negative language is frequently used of God in Scripture: He is immortal, invisible, without beginning, endless, uncreated. Using such negative expressions emphasizes God’s apartness, his ‘otherness’ as theologians say. He is not like ourselves who are mortal, visible, born and die, creatures. He is in a class by himself. That is not to say that all our language about God is negative. He is almighty, eternal, pure, holy, loving, jealous, abounding in mercy. He is our Creator and our judge. All these are positive expressions, telling us what God is and is like. The use of such negative expressions has the intention of guarding our thinking, our tendency to be familiar with God, thinking we know what God is like, even the tendency we have to think we know what it is like to be God. God is apart from us, transcending our world of time and space. Returning to this negative expression, ‘without…passions’, it tells us quite a bit that us positive about God when we reflect upon it. To start with it tells us that the life of God is 'above' the goings-on in our lives, or in the lives of any other creature. It is a way of saying that God is changeless, whereas we change. He is not caused to change by his creation. Rather, besides creating and sustaining it, he is the decreer of changes in his creation, including the changes that his creatures bring about. God decrees such changes and in that sense he brings them about or permits them. But that fact does not allow us to say that God does not care for his creatures, nor grants his grace to men and women. Care, grace, judgment, mercy are expressions of the fullness of God to us creatures, and (again) have to do with our changes, not with his. When we come to recognize that God loves in Christ, and fills his people with joy and peace in believing, this is a change, and it leads to further changes in them. It was God’s eternal decree that this be so. If human lives descend into indifference to God, or blasphemous rebellion, these are other changes, different responses, different changes to the one unchanging God. Such changes have effects on our passions, or affections, but not on God’s.